You want to offer your client, internal or external, the best and most reliable techniques to measure appreciation, acceptance, and so on. 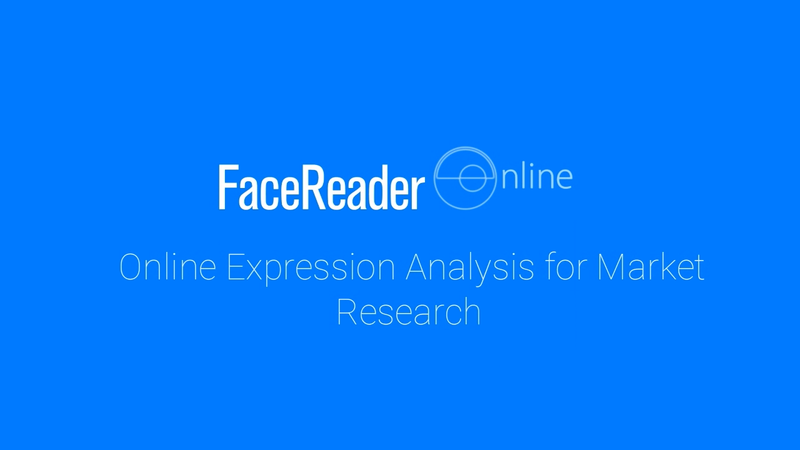 FaceReader Online is the user-friendly online facial expression analysis service that you can now incorporate in your market research. What can FaceReader Online do? Capturing emotions by analyzing facial expressions offers additional and objective insights into the impact, appreciation, liking, and disliking of products, websites, commercials, movie trailers, and so on. So why not try it yourself? FaceReader Online allows you to create one or multiple projects. In short, you can bulk-email a hyperlink to participants using your own survey tool, even integration in a questionnaire is possible, wait for the response, let FaceReader automatically analyze the videos, upload the analysis results on your PC with FaceReader software installed, interpret the results, and present your findings to your client. Isn’t that quick and easy? Setup your project variables and upload the video files you wish to measure the response for. Use survey software of your choice to invite participants and add some survey questions. The emotional response of the participants to the video files will be recorded. Only minutes after the last participant has taken part in the survey, the project results will become available. For a detailed analysis the results can be downloaded as a FaceReader™ project file. FaceReader Online produces results on your project fully automatically. This enables you to access the results almost instantly and means that unless you specifically request our help in interpreting the results, all data and all results will be yours and yours alone. The results of a project are available in the form of an interactive web page allowing you choose how you want to visualize your results. You can group your participants and look for interesting differences between the responses of these groups. FaceReader Online is based on the FaceReader™ software which is used at over 500 sites worldwide, with the advantage that this version runs in the cloud. This means that you can test appreciation or impact on-site while participants can stay at home, allowing you to incorporate a much larger number of participants. FaceReader Online is not built by or related to a market research company. We are offering an independent service and not doing our own market research. Brigham Young UniversityDepartment of Engineering and Technology, Provo, UT, U.S.A.
Carolina UniversityDepartment of Communication Sciences and Disorder, Greenville, NC, U.S.A.
Davidson CollegeDepartment of Psychology, Davidson, NC, U.S.A.
Georgetown UniversityDepartment of Psychology, Washington, DC, U.S.A.
University of FloridaDepartment of Agricultural Education and Communication, Gainesville, FL, U.S.A.
Virginia TechCenter for Leadership Studies,Blacksburg, VA, U.S.A.
Virginia TechDepartment of Psychology, Blacksburg, VA, U.S.A.